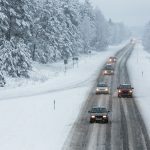 The summer, like the winter months, brings its own unique driving challenges for fleets and drivers. Hot humid weather, summer storms, changes to traffic patterns and road conditions can all potentially impact vehicle performance and driving behaviors. A fleet management solution can help fleets of all sizes maintain top vehicle performance and help to keep drivers safe and enabled to operate at peak performance through the summer months. In the summertime, there are more cyclists, more motorcycles, more pedestrians, more children out of school, and more lost tourists navigating the streets. Combat this by sending work orders and job details direct to the driver in the vehicle, helping drivers avoid time-wasting trips back to the office, while handling the additional service calls that often come in during the summer. Dynamic dispatching can help dispatch teams find the optimum route from point A to point B, while vehicle tracking helps dispatch teams pinpoint a driver’s whereabouts and inform anxious customers of his/her time to destination. GPS also helps reroute drivers around traffic jams, construction and summer congestion. When summer driving challenges add up, it is possible for driving habits to slip as drivers try to beat the heat, or rush to catch up on time lost to holiday traffic. To help ensure best and safe practices are maintained and driver performance is at its best, an in-vehicle management system can help to coach drivers, by providing drivers with real-time information about speed limits, idle times and fuel consumption and feedback on driving behaviors, for instance harsh braking or gear shifting. Finally, to help keep drivers healthier, well and alert at the wheel during the dog days of summer, it’s recommended to remind them to take breaks to avoid fatigue, drink lots of water to stay hydrated and invest in a pair of good quality sunglasses to minimize glare. 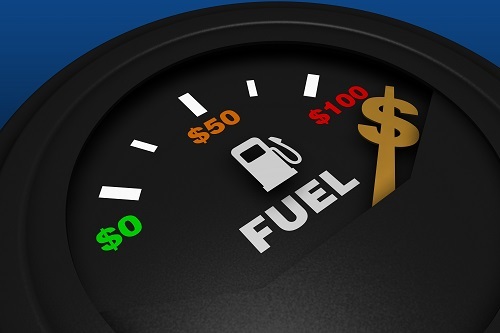 Fuel costs can be one of a fleet’s largest operating expenses, and fuel prices often rise during the summer months – typically starting around US Memorial Day as travellers hit the roads for vacation and as a result of refineries performing regular spring maintenance. A fleet management solution can help fleet operators retrieve important vehicle data on fuel consumption and employ additional fuel saving strategies. Dispatchers can also use fleet management to optimize driving routes, reduce idle time, and keep a careful eye on fuel consumption patterns across the fleet. The hot, dusty days of summer, combined with summer’s inevitable stop and go traffic can put additional maintenance burden on fleet vehicles. According to Software Advice’s Fleet Maintenance report, the top reported causes of summer downtime or accidents among fleets are all maintenance related, with engine overheating leading the way at 20%, followed by air conditioning failure at 19% and then tire wear at 15%[i]. So it is important for fleet operators to ensure that going into, and through the summer, vehicles remain in tip-top condition. Your maintenance program can be simplified through the use of a fleet management solution by allowing you to practice proactive maintenance helping to stay on top of repairs, maintaining a maintenance history on every vehicle, enabling engine diagnostics alerts to vehicle maintenance issues so you have a better chance of avoiding costly roadside repairs. Here is a breakdown of some common summer maintenance challenges as well as advice on how to alleviate those concerns. Winter wear and tear on vehicles Heavy winter chemicals and salt can wreak havoc on a vehicle’s finish and cause rusting. Start the summer right by washing your vehicles to rid them of these winter residues. Air conditioning failure According to Software Advice’s Fleet Maintenance Guide[ii], air conditioning failure is one of the top causes of fleet downtime in summer months. Make sure filters are regularly cleaned and the system serviced at the beginning of the season. Vehicle overheating Vehicles often overheat when driven in peak summer months and nothing is more frustrating than a breakdown on a hot day in traffic. To help prevent these kinds of risks, flush and refill vehicle cooling systems every 24 months at a minimum. Use engine diagnostics to be alerted to any changes in performance. It is generally recommended that oil changes are performed more frequently in the summer months, especially for vehicles pulling heavier loads. Diminished vehicle power Summer’s dusty conditions can also affect engine performance by diminishing vehicle power. Make sure to change filters and use engine diagnostics to retrieve important vehicle data and quickly detect issues such as stalling or rough idling. Poor visibility A grubby windshield can impede a driver’s line of vision and can potentially cause fatigue. Replace the wipers on vehicles and make sure the entire fleet is topped up with windshield fluids to wash away dust and nasty bug residue. Tire wear Tires tend to wear more in the summer months[iii], so have them rotated regularly, and use vehicle diagnostics to regularly monitor tire health and pressure in hotter weather. Brake wear Brakes also get their share of hard work in the summer. Watch for pulses, grabbing and use vehicle diagnostics to implement a safety first driving culture and monitor negative driving habits such as harsh braking. Cargo protection If your fleet includes reefers for the transportation of refrigerated goods, make sure your system is properly checked out and operating at peak capacity.